Over the last month, we saw new mirrorless cameras from Canon, Nikon and Fuji. The Panasonic LX100 Mark II also came out. I was really excited to learn about those cameras, but my joy turned to disappointment in most of the case. After all the wait for Canon and Nikon to build a full frame mirrorless, they can't do better than that? The Canon EOS R is a joke. It might have been good if launched in 2014. Speaking of 2014, that's the year the LX100 was launched. You all know how I love this camera. I was waiting for an update with a wish list, but all Panasonic could do, in 4 years, is update the sensor and add a touch screen? Really? The mark II is still a very nice camera, but not enough to upgrade from the mark I. People should try to find a good deal on the Mark I instead of going for the mark II. One camera gets me really excited though, and it's the Fuji X-T3. Wow! 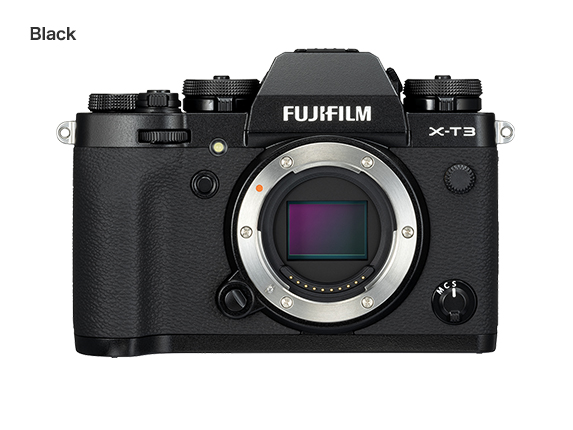 What a huge jump from the X-T1, and an big update from the X-T2 as well. From a video standpoint, Fuji went from not being in the game (X-T1) to one of the leaders (X-T3). I did not try the camera yet. I hope to try it later this fall. So what do I like so much about the new X-T3? The new BSI sensor gives more dynamic range in photo and video. The new X-Processor 4 is faster, more powerful, and opens up a lot of possibilities for future enhancements. Phase detection on the entire frame, better continuous auto-focus and way better face/eye detect (in video too). From what I saw so far, that's a huge change. Up to 30 frames per second with no blackout EVF. That means that EVF can finally replace OVF for action shooters. 4k video at 60 frames per second in 10 bits at up to 400bps and slow motion 120fps in 1080p. Add to that F-Log and Eterna profiles, Zebra and the future Hybrid Log Gamma coming later this year. This camera is now a serious contender in the video world, up there with the GH5 and Sony A7 models. A really simple thing: the diopter adjustment lock. How many time do I pull the camera out of the bag and everything is fuzzy in the viewfinder? Another simple thing: a light on the front of the camera to show you are recording video. Microphone AND Headphone jack! Yay! No need for a battery grip anymore. Speaking of ports, it's now a USB-C instead of micro-USB and you can charge the camera through the port. A touch screen and a beautiful viewfinder. The same great ergonomics from the X-T2. Poor battery life. I still like the fact that Fuji uses the same battery for almost all their camera. It's easier when you have multiple bodies. At some point though, they will have to use a battery that lasts longer. The new processor seems to take less power though because the shutter count rating is up to 390 images. The screen can tilt in 3 directions but can't swivel completely. That would have been great for video, especially vlogging.